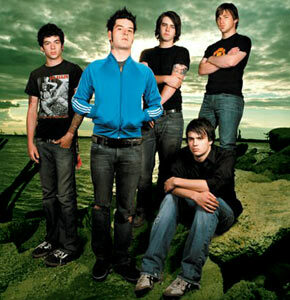 Senses Fail Biography, Discography, Music News on 100 XR - The Net's #1 Rock Station!!! 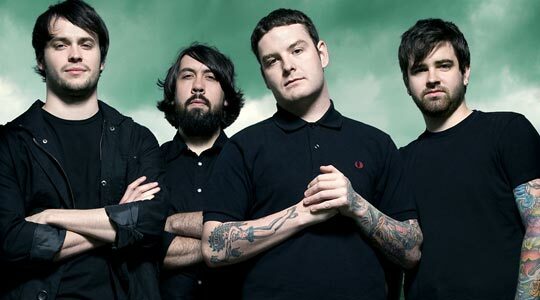 Senses Fail is a Punk-Pop Alternative-Rock group from Bergen County, New Jersey USA; the band was formed in 2002 by vocalist James 'Buddy' Nielsen, guitarists Dave Miller and Garrett Zablocki, bassist Mike Glita and drummer Dan Trapp. The quintet soon recorded an indie-EP titled "From The Depths Of Dreams", which was supported with extensive touring, including dates opening for Finch and The Starting Line. The disc went largely unnoticed until Drive-Thru Records re-issued the band's debut EP adding two bonus tracks, at which point it began to climb the Billboard Magazine's Top Heatseekers chart, creeping its way into the top 5. In September 2004 Senses Fail released its first full-length album, "Let It Enfold You", on Vagrant Records, it sold more than 300,000 copies cracking the top 40 of The Billboard 200 chart and its main single, "Buried A Lie", received some airplay from alt-Rock radio. While working for their sophomore effor, "Still Searching", Miller left the group to be replaced by former Midtown guitarist Heath Saraceno; premiered by the powerhouse single "Calling All Cars", the New Jersey quintet's second album shot to #15 on The Billboard 200 upon its October 2006 release. The disc contained another minor hit single, "Can't Be Saved". The band's next offering, "Life Is Not A Waiting Room", arrived two years later debuting at #1 on the Billboard Independent Albums chart and made it to the #18 niche on the all-genre Billboard 200 listing; the CD, which included the single "Family Tradition", marked the addition of new bassist Jason Black, who replaced the departed Mike Glita who left the band in December 2007 to pursue his own personal ventures. In July of 2009, it was announced that Saraceno would be leaving the band. In October 2010 Senses Fail unleashed its fourth album, "The Fire", which they recorded at Salad Days studio outside Baltimore with new guitarist Zack Roach; the band have selected the title-track as the first single off the record.